We where having a neighborhood BBQ, sitting an the balcony socializing ( 7 people in total) when Colin noticed a strange looking light in the sky. We all where talking about it because it never moved. It just hovered. We also noticed 5 very faint orb type light that moved around the larger object very rapidly. In the blink of they eye they changed directions. We eventually got some binoculars and got a better view. Colin got his camera with a 300 ml zoom and started taking pictures. Clouds started to move in but we where able witness a completely different object that approached this group. Through the camera lens the new object appeared triangular like a stealth bomber. On approach the orbs got more active but the strange larger object never moved. The clouds eventually thickened and the view of the objects was lost. In total it was roughly an hour long incident. 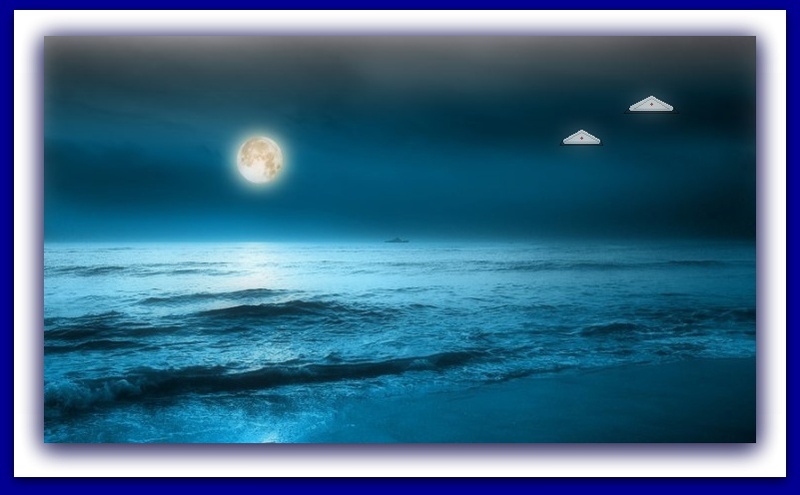 VERY BUSY TWO DAY’S FOR UFO SIGHTINGS IN THE U.S.
FEBURARY 6 AND 7TH 1967……….BUSY DAY FOR UFO’S IN THE U.S.
11:55 p.m. PST. A couple saw a solid round object and a silver cigar-shaped object oriented vertically. The round object emitted many “contrails” and apparently disintegrated, then the cigar-shaped object flew rapidly away. (NICAP report form.) NOTE: The above image is cgi. It looks like the 2015 model of UFO is the cube. Two mysterious cube-shaped UFO sightings have been getting a lot of attention this week. A strange cube that appears to be in a portal or vortex was photographed by witnesses in Texas while a low-flying cubic glowing orb was seen in a video feed from a station in Antarctica. 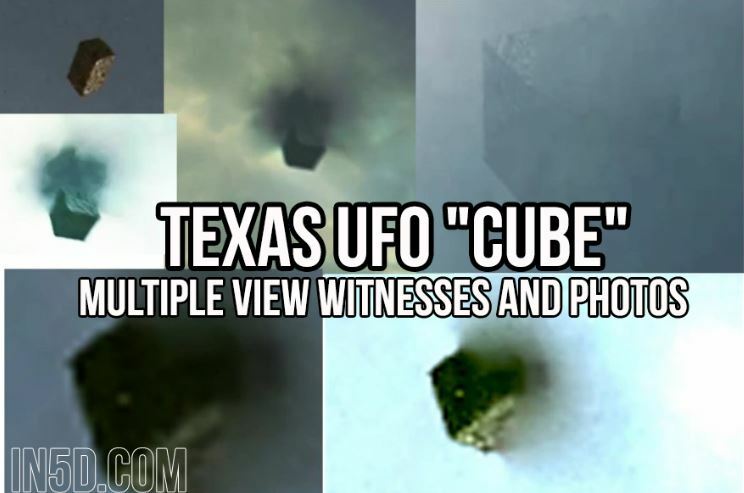 The cube-shaped Texas UFO was spotted on June 29th, 2015, over El Paso. First posted anonymously, the photograph was eventually attributed to Walter C. Lance. Lance says he first saw nothing but storm clouds. At around 1 pm, he noticed the clouds swirl into a portal or vortex shape. As the center turned black, he took a series of pictures with his cell phone. While the original photos taken at a distance show a fuzzy cube shape, some of the close-ups appear to be enhanced and others seem to be a different cubic or rectangular UFO. 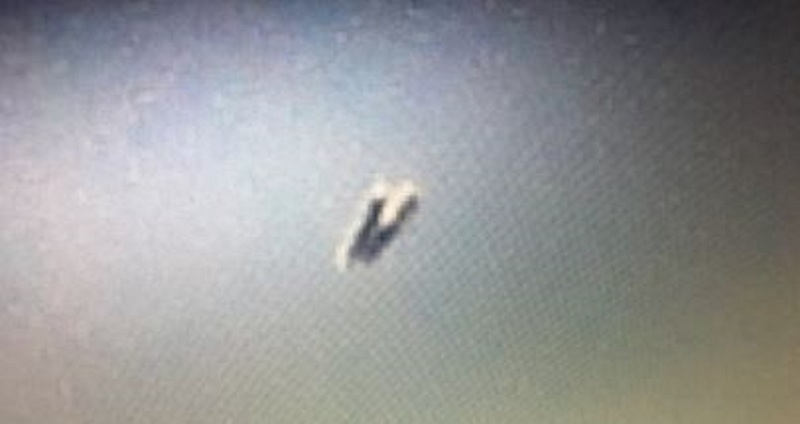 After his posting, another anonymous witness released a picture she took at about the same time of what appears to be the same or similar cube UFO. She also reported hearing a humming sound. As expected with a report with little information on such an odd (or some might say menacing) UFO, speculations on what it might be or where it came from are running rampant. Meanwhile, a photo from what appears to be an observation web camera pointed at Davis Station in Antarctica shows a low-altitude glowing orb that is somewhat cube-shaped. The image is dated June 28, 2015, but no other information is available. Davis Station is a permanent base managed by the Australian Antarctic Division and located on the coast of Cooperation Sea. There has been no comment on the orb from the AAD. 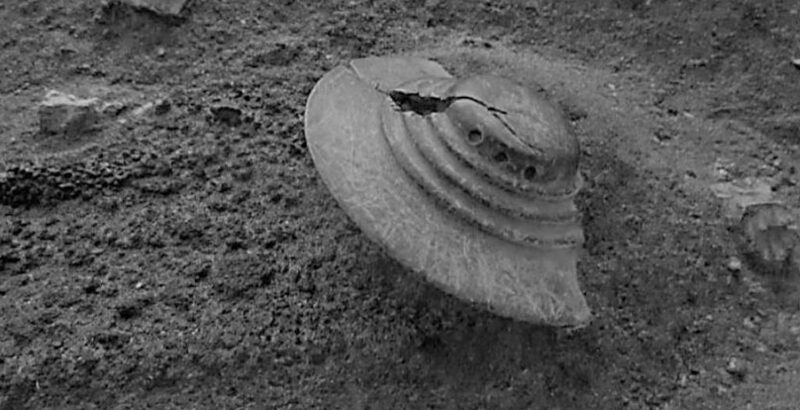 UFOs have been seen over Antarctica or embedded in the ice before, with the most recent being a Google Maps image of what appears to be a crashed saucer-shaped craft. Is cubic the new disc? What do you think about these two cube-shaped UFOs? A Terrifying experience was recalled by an English woman who believed that she was abducted by an alien twenty years ago. Her alien encounter story will be detailed in a new book written by an expert and author of UFO Roy named Dutton. On July 16, 1981, around 1:45 a.m., Valerie Walters said she was driving home with her two friends, Vivienne, and Rosemary from a night out in Sheffield, United Kingdom. She was 26 years old at that time when a strange light hovering in the sky started to appear that terrified them. Moments later, a massive extraterrestrial aircraft flying directly above their car. Though she cannot remember what happened next, she is certain that there was a beeping noise that made her very sleepy. As soon as she woke up, she noticed that her friends were gone. So, she came out of the car to look for them. Before she heard a strange voice, the car suddenly disappeared. The mysterious voice reminded her not to be afraid. Her head went red as she felt like she was being vacuumed after hearing the voice. She was already in front of some mysterious beings the next thing she knew. She recalled being in a white wedge-shaped room with two creatures, both with hypnotic blue eyes and shoulder length dark hair. 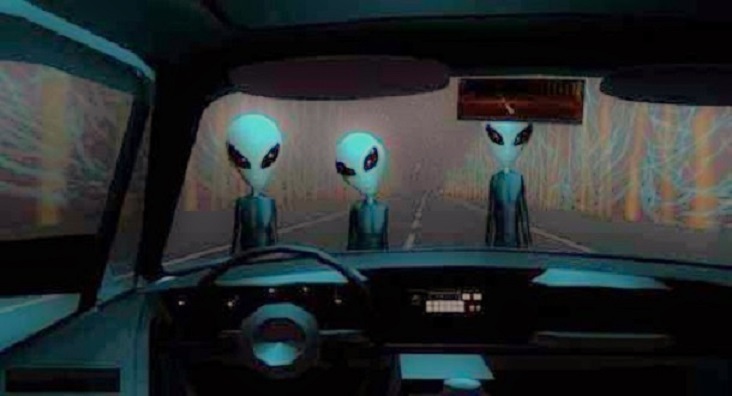 Walters admitted that she and her friends reported the horrible extraterrestrial encounter to the police, but their case was not handled seriously. As with her friends, they cannot entirely recall what happened. 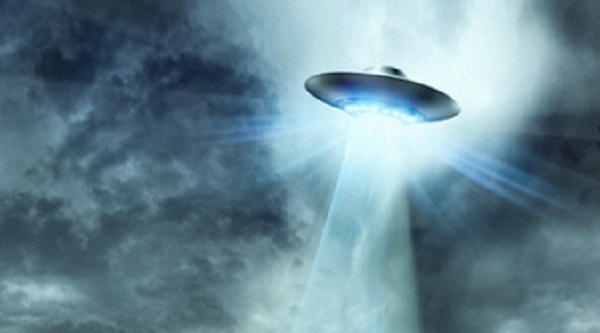 Alien abduction stories are not rare in humans. In fact, the Walters’ story is not the first case. 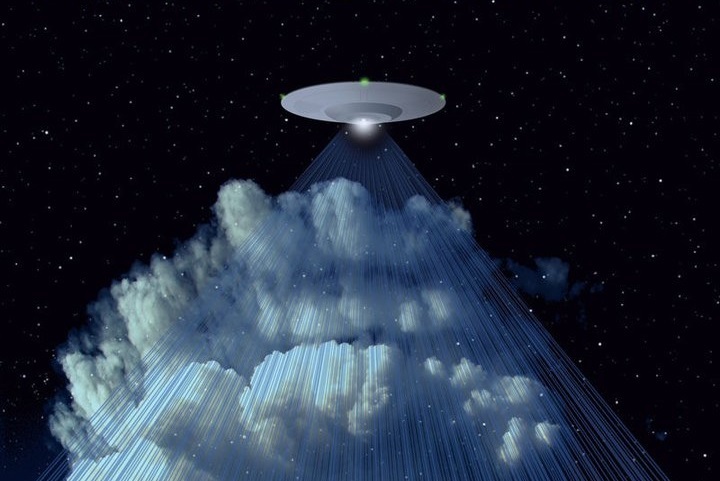 According to the Inquisitr, it started in the 1950s, when people reported having been abducted by aliens in the “UFO Case Book.” In 2005, Donna Lee claimed to lose her baby after she and her husband were abducted by aliens repeatedly. Another man, in the same year, also claimed that aliens abducted him after spotting a strange object in his backyard. NOTE: The above image is CGI. I was home, in backyard looking with my wife thru telescope meade etx-70. I was looking for M51 whirlpool galaxy when noticed triangle shaped siluette hovering. then suddenly fast changed direction to right (east) then stopped. I called my wife to see. We was able to track that one object for about 15 minutes, then another triangle shaped UFO came right next to first one and both of them had lights, all around object. Then we saw clearly that both of them were triangle shaped UFO’s. Then for about 50 minutes we able to track them on sky, for moments we lost them from site because they were so fast, and they have unpredictable directions, they was flying straight then sharp turns, then sudden stop, but we able to find them again. 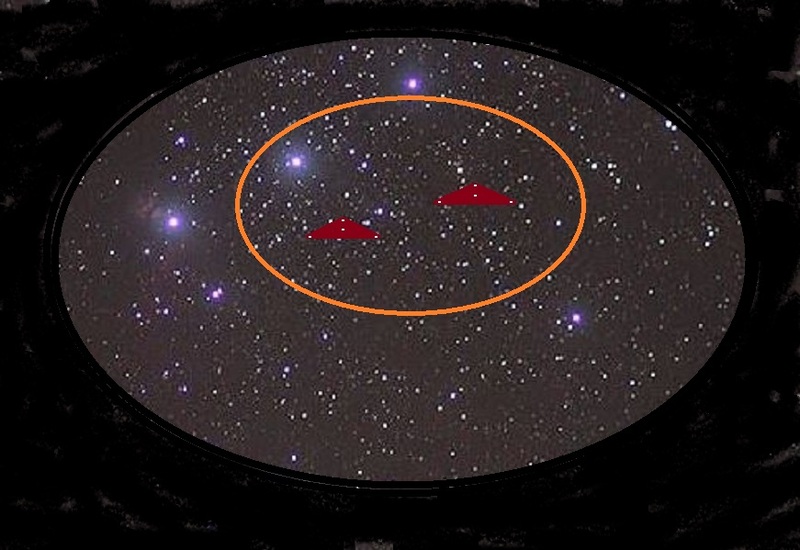 We didn’t see them with naked eyes, just with telescope so I don’t know that they were in our atmosphere or in space. First time to me, it looked like a airplane B2 or F117 but planes can’t hover and change directions like that. Hovering, fast moves, unpredictable directions, fast start and sudden stop, and hovering again. I was excited, so as my wife. that is her first time to see something, for me that was the last, but saw few times strange lights and objects earlier. About 1 hour 5-10 minutes later, they just turned off the lights and disappeared from our sight. From that day I’m always using astro cam and laptop in case I see something strange again. NOTE: The above image is CGI. There were eight of us at the Lake Saint Catherine campsite in Poultney Vermont. On Wednesday, August 12, 2015, at about 10:30 p.m. we went to the water to look for a possible meteor shower. We were scanning the sky when suddenly we observed an orange light streak across the sky. It was a big object flying low about 500 to 1000 feet. It changed direction then stopped right in front of us. It hovered there. then started to dim out. As it dimmed I could see a globe shaped greyish object until it completely dimmed out. A second object then appeared streaking across the sky at about the same altitude. It also stopped in the same place, hovered and dimmed out. Another object did the same thing but changed direction a few times. This object got closer to us. We were near the waters edge. This too dimmed out. The fourth object did the same thing and was closer. The fifth object got very close. We were yelling for everyone to take cover in a copse of trees. We knelt down in the trees and waited for this last light to dim out. When it did we ran back to our camp cite. I was very afraid, the others were too. NOTE: The above image is a rendering. 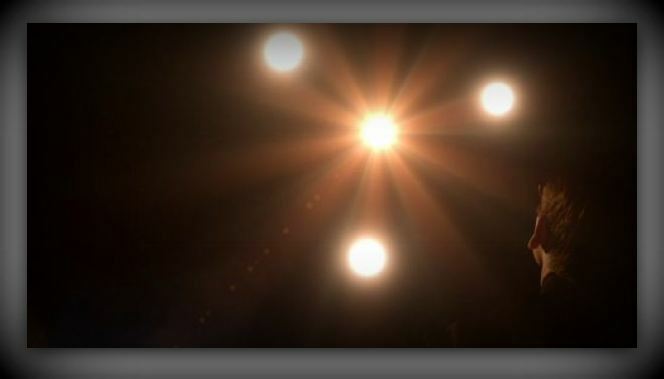 9.PM Last night I, and a few of my family members, observed 2 flying objects, triangular in shape, one much larger. We were watching the sky to observe the meteor shower. The smaller of the 2 joined together with the larger and then abruptly changed direction and proceeded to circle around one another flashing white and reddish lights. The light flashes looked like communication as they would alternate flashing but also flash in unison at times. They continued to hover and make small circles next to each other for over 1 hour. About 35 minutes after this began, I saw 3 more smaller flashing objects come together at a high rate of speed, and then form a straight line perfectly equidistant from one another. Then two of them disappeared and one remained. I observed the last of the 3 quickly shoot to the north as the original two continued to hover for about 20 minutes after the last of the other three disappeared. I have never seen anything move as quickly or change direction as abruptly as the UFOs I observed. The laws of physics were broken. 10. PM WILDWOOD [ WITNESS 2 ] I was witnessing the meteor shower with friends around 10pm. I noticed a very distant and flickering light moving fast my across the sky. It was so faint at first I knew it was not a plane, also it was steady and consistant with its direction, not like a meteor. It then made a quick zig zag and disappeared. It then reappeared with a 2nd object. These 2 object got very close to one another and continued to hover in that spot, still flickering for over an hour. About 30 min later several other objects looking identical to the first appeared. They came together then spread apart to for a perfect line with exact distance between them. The center object was flashing a reddish light. All of the stayed hovering but almost in a circular motion. They all had flickering lights. There was also a whitish light that would flash occasionally to the left of the center object. It was unbelievable to witness. NOTE: The above image is a rendering. This case is under investigation by Robert Spearing , State Section Director for MUFON in New Jersey. I decided to go for a walk At 10:30 pm around August 12, 1961. It was a clear night, not a single cloud. I was on my second lap around the ball field when the entire ball field lite up like a Christmas tree. I tilted my head to see what it was. The object hovered over for about 30-45 seconds. It was about 40-50 feet above me. I noticed the object to be round in shape with one major beam shooting out of the bottom of the aircraft. The beam was so bright it blinded me for a couple of seconds. After studying the aircraft my eyes were focused to the west. Looking out over the trees I noticed there were three more aircraft waiting for the one above me to leave. These three ships all had red lights on the tops of their aircrafts. Moments later when the object above decided to leave, the other three left with the other one. These four objects left with such an incredible speed. They were out of sight before I could even blink an eye. The only noise the object made when it left was a very slight hum. You could barely hear it. the other three made absolutely no noise at all. Incredible speeds, I had never witnessed anything like that before. There was nobody else in the ball field at that time. The spaceship made the area so bright I figured it would be on the news or even in the newspaper. No such luck. Nothing. Why was I the only one to see this object? Why was it hovering so close to me? Why wasn’t I abducted? I have thought about that night for the past 53 years. What did they want? I think quite often about the speed that they all traveled and how quiet they all were blew my mind. I wasn’t scared at all, just very curious. 53 years later the only thing that has changed is my curiosity. It’s about ten times greater now. It was truly an amazing evening. Thank you & God bless. NOTE: The above image is a rendering. This case is under investigation Section Director Ed Dobson of MUFON New Jersey.